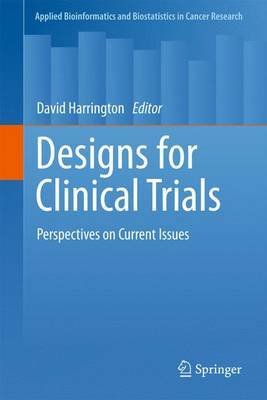 This book will examine current issues and controversies in the design of clinical trials, including topics in adaptive and sequential designs, the design of correlative genomic studies, the design of studies in which missing data is anticipated. Each chapter will be written by an expert conducting research in the topic of that chapter. As a collection, the chapters would be intended to serve as a guidance for statisticians designing trials.